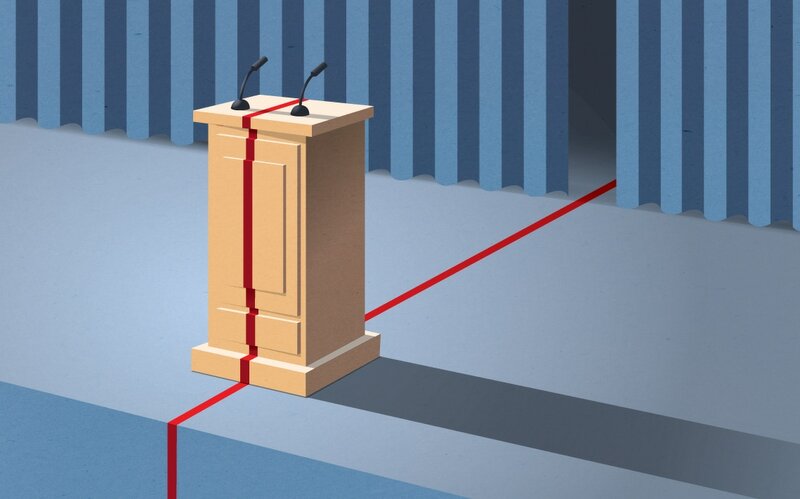 As the election season takes shape, so are the political battle lines. 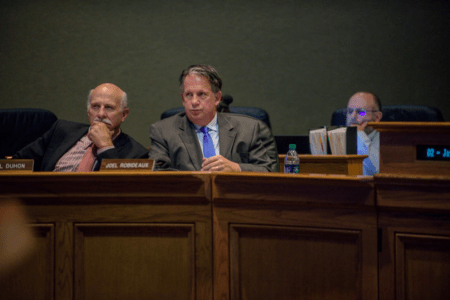 Not only are the Lafayette City-Parish Council and mayor-president in tension, but of equal importance is the conflict between local governments and the state. The timeless battle over autonomy is at the heart of several ongoing debates at the council level, heard earlier this month. The controversy is simple: Does Lafayette want the state involved in our local politics? One obvious arena for that dispute is how to resolve discrepancies over precinct boundaries in the Home Rule Charter amendments approved by voters in December. Although the secretary of state determined it was a local decision and local legal counsel found the matter could be addressed by local ordinance, some council members wanted additional state input. State Attorney General Jeff Landry was invoked at recent council meetings so many times folks may have wondered why he wasn’t invited to show up. Ultimately, the council rejected seeking an AG opinion in a 5-4 vote, urging that local counsel was sufficient and that Lafayette, not Baton Rouge, should have the last word. Of course, at the request of a state senator, the AG ultimately weighed in. Council members rejected his counsel, siding with their own attorneys, and moved forward with an ordinance to fix the errors. In a similar vein, earlier this month the council also tabled a resolution to support a state legislative bill to index Lafayette police pay raises to increased sales tax revenues. While many council members acknowledged the need for police pay raises, they resisted surrendering that power to the Legislature. Even the mayor-president, when pushed on the subject, agreed that a “[local] ordinance is a probably better policy decision” than having local law enforcement pay raises set by the Legislature. If the mayor-president and council have agreed on anything recently, it’s that we should resolve this particular local issue locally. Far beyond Louisiana, there is a growing divide between local governing authorities and their state legislative counterparts. Cities want to exercise local control over a host of issues. Recent political debates have included the right to ban fracking locally, to regulate or prohibit ride-hailing programs like Uber and Lyft in cities, to allow municipalities to increase their minimum wage, and to prevent dark money contributions in local elections. Most state legislatures have successfully fought back, requiring uniform regulations state-wide and preempting local autonomy. The next Louisiana legislative session starts April 8, and local vs. state autonomy will be a centerpiece of political conversations. At the heart of those issues is taxes. The Industrial Tax Exemption Program illustrates this debate. For years the ITEP program allowed companies to apply for exemptions from local taxes from a state board of control if they met various program requirements. After taking office in 2016, Gov. John Bel Edwards by executive order stripped power from the state board and granted oversight to local taxing authorities. However, confusion ensued because Louisiana has so many taxing bodies. Lafayette alone has three such authorities: the sheriff, Lafayette Consolidated Government and the Lafayette Parish School Board. Businesses seeking ITEP approvals would need to appear before all three bodies. Some organizations, like the Louisiana Association of Business and Industry, have advocated for each parish government to establish a single point of contact for ITEP applications. However, some legislators are looking to remove local oversight altogether. State Sen. Bodi White and Rep. Franklin Foil, both Republicans, have filed legislation to return oversight of local tax exemptions to a state board of control. Republican Rep. Steve Carter has filed legislation to transfer some economic power from the state to local government by giving the latter control over the Homestead Exemption. Secured in the constitution, the state ensures that homeowners are exempt from paying taxes on the first $75,000 of their home’s value. This exemption is why Louisiana’s individual property taxes are comparatively lower than other states. And because local governments rely heavily on property taxes to fund their budgets, the homestead exemption hits them the hardest. Carter’s proposal would shift this authority and allow local governments, if they choose, to propose lowering the homestead exemption for property in their jurisdiction. Though the homestead exemption has been a sacred cow in state government, Carter’s idea may gain ground among those supportive of local autonomy. One area where the state wants to take control is sales taxes. Louisiana is unique because it allows local authorities to collect sales taxes, rather than utilize a centralized state collection system. Louisiana has an estimated 370 local tax jurisdictions. As Louisiana has attempted to collect sales tax from internet sales, this elaborate system of local tax collection has exposed the vast inefficiencies in the system. Local governments, however, are defensive and do not want to cede their ability to collect local sales taxes. Given the scope of this proposed change, and the fundamental shift to our tax system, it is likely to define many of the legislative debates this session. As city and parish governments struggle with the effects of a lagging economy for the past several years, the fight to control their taxes has become ever more pressing. The tax base is so anemic in many areas that local governments have increasingly turned to traffic tickets and fines for funding. As recently reported in The Advocate, 25 municipalities in Louisiana now draw more than half their revenue from fines. Given the state of local economies, local autonomy has become more pressing. The ability to act deftly is critical for cities in times of economic, environmental and social flux. Lafayette is no exception. Because of past inertia, it is of little surprise that local authorities have looked to the state for help. In a time of political and institutional change, Lafayette needs autonomy. But with independence comes the need for decisiveness, which means Lafayette has big decisions ahead. The most important part of property taxes is remember the state collects NO property taxes, so as they say “they have no dog in that hunt”. What the state constitution does do is tell parishes and cities what they can tax properties, like land, improvements on the land (buildings) and inventory (of which the state reimburses the business). And how the parish tax collector can set the taxable value callled “assessed value”. Land is set sat 10% of market value and improvements at 15% of market value. So we tax improvements at 50% higher rate than the very land it sits on. Which in turn decourages improvements and rewards land without improvements (jobs). Unless it’s 3 acres or more then it’s deemed “agricultural land” and cannot have a market value higher than $280 per acre so in Lafayette means property tax ofunder $2.80 per acre. Like the empty land you see on kaliste Saloom and ambassador Caffery. We also see the state effectively taking away local school property taxes to pay for state corporate charter schools even after locally elected school boards have rejected the corporate application. This means state politicians with no accountability to the taxpayers give away the corporate contracts. No surprise then that there is little to no oversight that the money is spent for the good of the children. Challengers are already mulling 2019. LUS could be the platform they need. 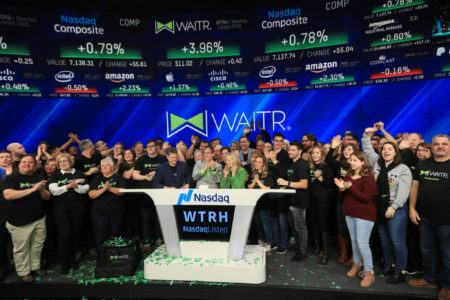 We’re witnessing a changing of the guard, and Waitr’s splash on the NYSE is the latest indicator in the trend. 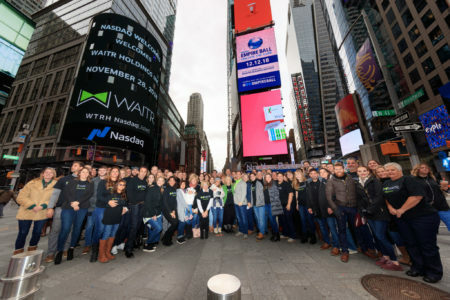 The gist: Waitr announced this morning that it acquired Bite Squad, an online ordering and on-demand food delivery platform for restaurants, for $321.3 million.